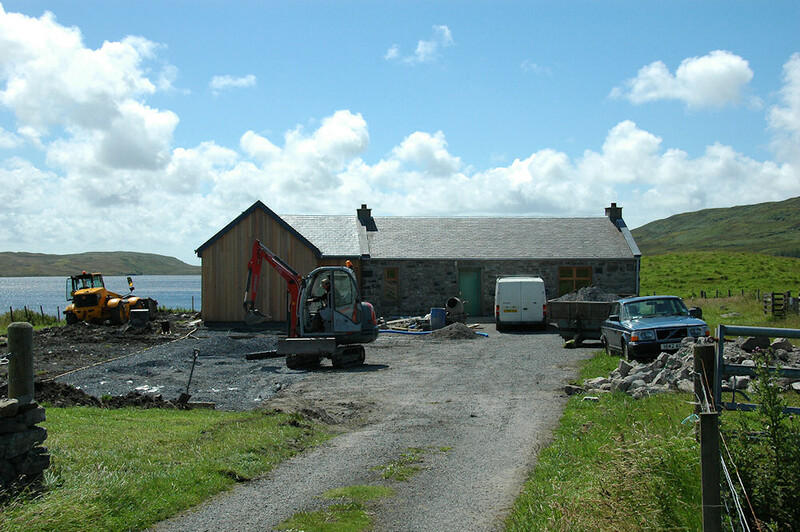 A picture from a number of years ago, when the Finlaggan visitors centre was refurbished and vastly expanded. It hosts information about the home of the Lords of the Isles on Islay. Loch Finlaggan in the background.